Last Week Volatility Cost Options Traders Over a Billion in Slippage. If you found option trading challenging last week, you were not alone. We have heard complaints from our clients about wide markets and low liquidity. Here are the numbers and why. With the volatility and increased volume last week, options market width doubled and size on the bid and offer was off nearly 1/3 of the previous week, costing option traders over a billion in additional slippage costs. Slippage, or the cost to trade, is the trade price minus mid-market times volume. A typical day last week total slippage was $163 million. Monday, February 5th slippage was $555 million. After the week was through, options traders paid over a billion more than normal in slippage. 1. The ask-bid / option price went from 8.2% average for the week before to 16.6% on 2/5 (more than doubled!). 2. The displayed size on the bid and ask went from 138 average for the week before to 100 on 2/5. 3. The displayed size is already anemic now compared to the recent past. 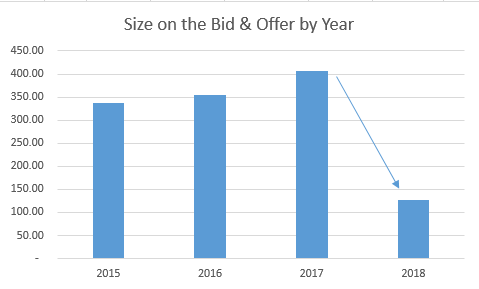 The past three years averaged 366 size on the bid ask for 2015, 2016 and 2017, taken the same time in early February in those years, and was 138 last week and 100 on 2/5. One reason for this is the lack of Market Makers. From Alan Grigoletto "The data, technology, regulatory, capital and clearing costs make it nearly impossible to enter as a liquidity provider. What most don't understand is that Market Makers need other Market Makers to lay off their risk. Only a handful of ETFs and large names have any real option liquidity even when vol is subdued. 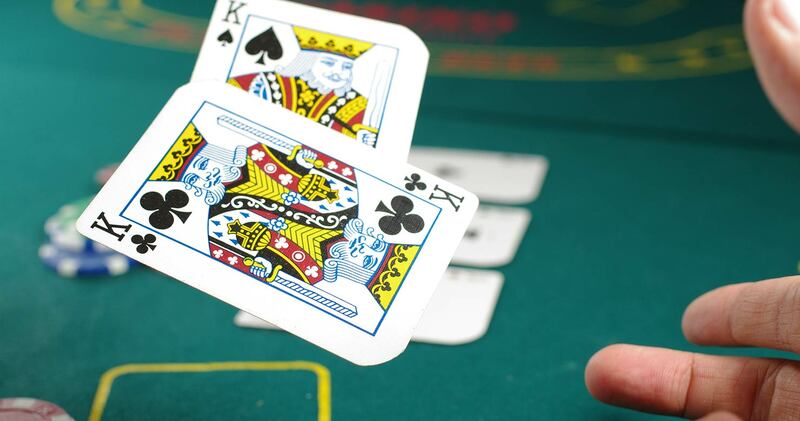 15 venues and 5 true market makers is a lousy ratio." We look at one snapshot for each day of the entire market before the close. We filter out options with no bid, no volume and very expensive options >$1000. Slippage is (ask price - bid price) times volume times the slippage ratio. The slippage ratio used is .25 which was studied in the surrounding days (contact me directly for the methodology).